Very strange, but all sounds possible!! I don't have experience with this, BUT I do know every pregnancy is different!! I've been more nauseous with one pregnancy than my other, so it is very possible you have a perfectly healthy baby!! Especially if your levels are rising so well! Hope your next ultrasound shows that all is well, I'll be thinking of you!! I've had a missed miscarriage at 19 weeks and a CP 4.5-5 weeks before, so I KNOW how hard it is not to worry about another loss when experiencing them in the past... but really hoping the best for you! @cbeal my next ultrasound is also on the 25th. Hoping and praying good news for us both!!! 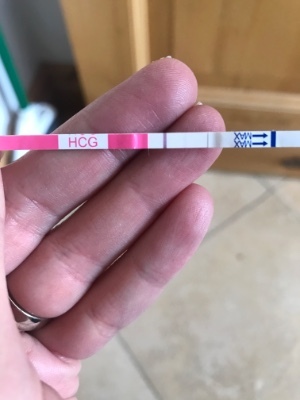 My doc just called with my HCG result which was 1959 which she said is consistent with what she saw on my ultrasound yesterday and not to worry we are just not as far along as I thought based on LMP and O date!! Keeping fingers crossed and praying for growth at my next scan!